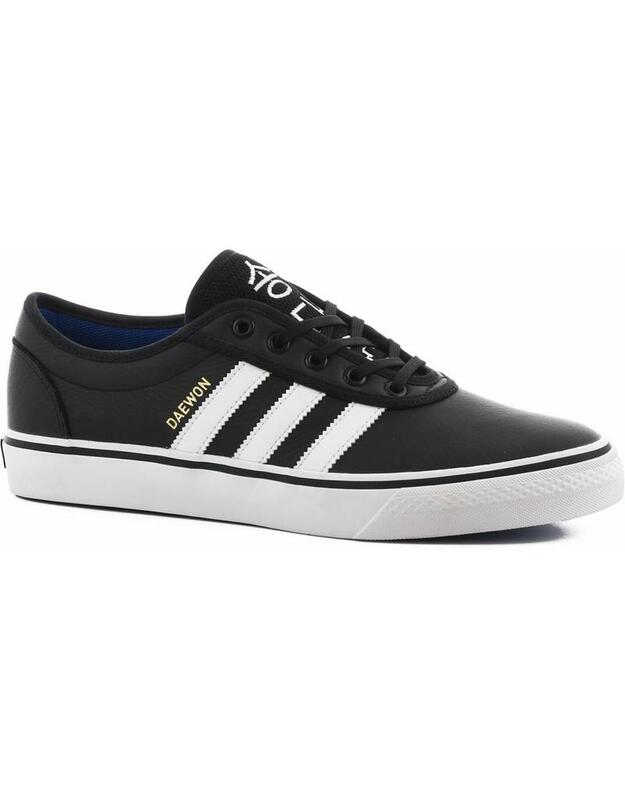 The Adidas Daewon Song Adi-Ease Shoes. These are the newest pro shoe from our friends at Adidas Skateboarding! Daewon redesigned the iconic Adi-Ease silhouette and gave it a premium black leather finish with white leather side stripes. The shoe gets a throwback to his heritage and has a touch of the Korean flag with one sole being red and one sole being being blue, also a slight color pop to the end of the laces and some stitching on the tongue. Also featuring the "Adi-Tough" reinforced toe area for skateboarding and a PU sockliner for comfort and support.